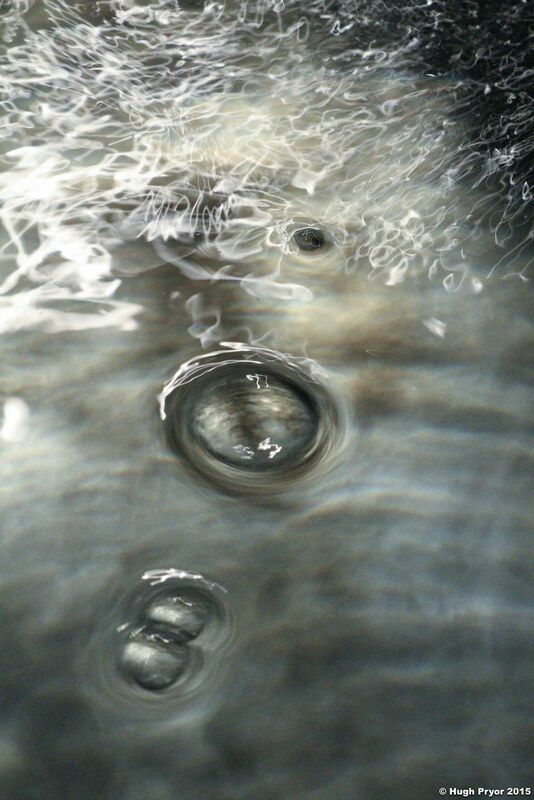 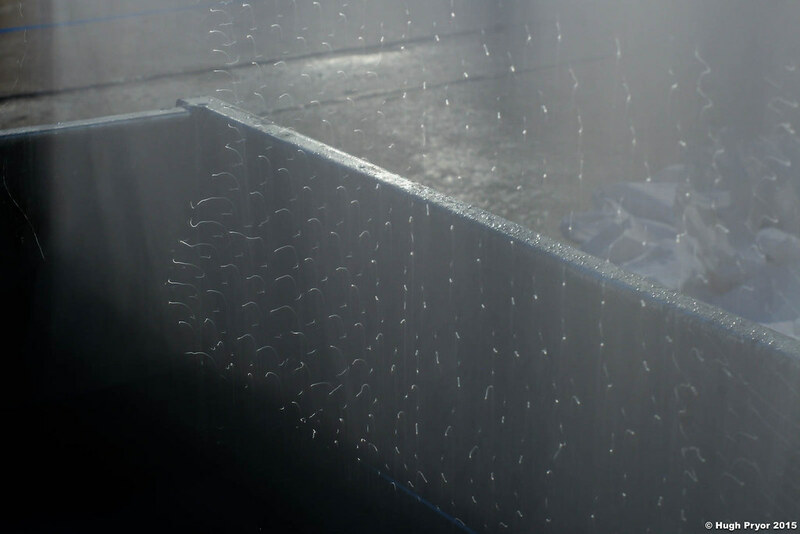 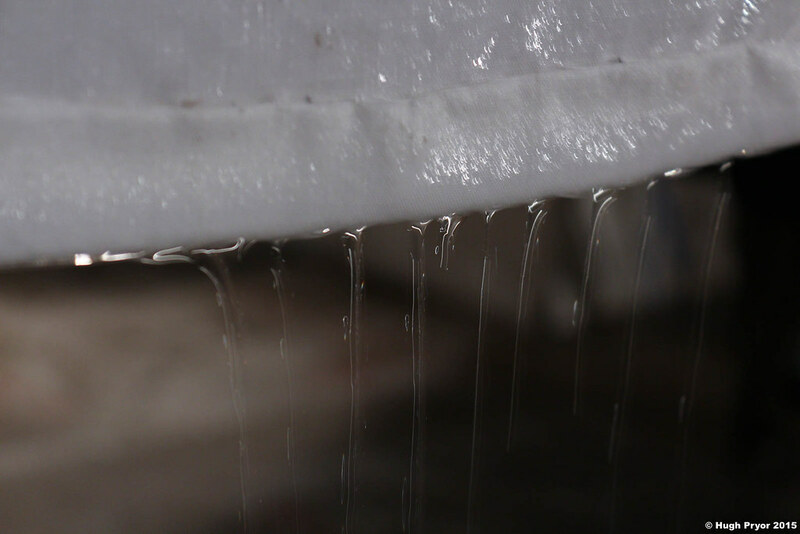 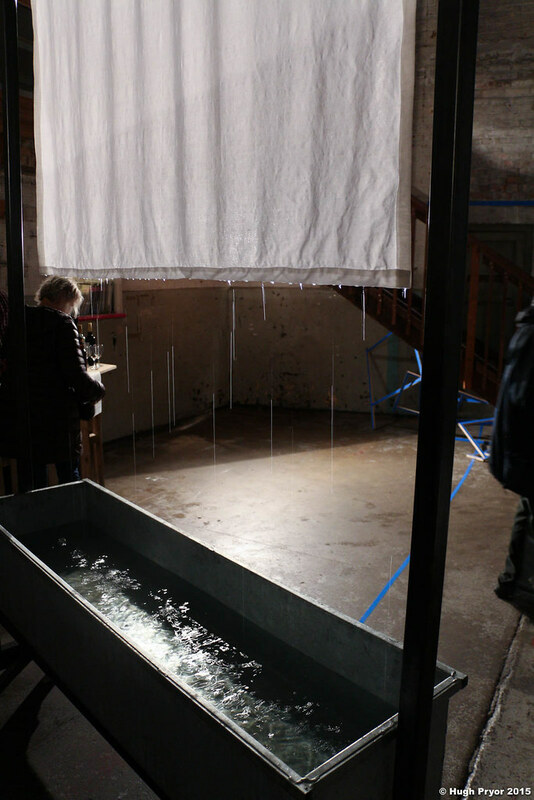 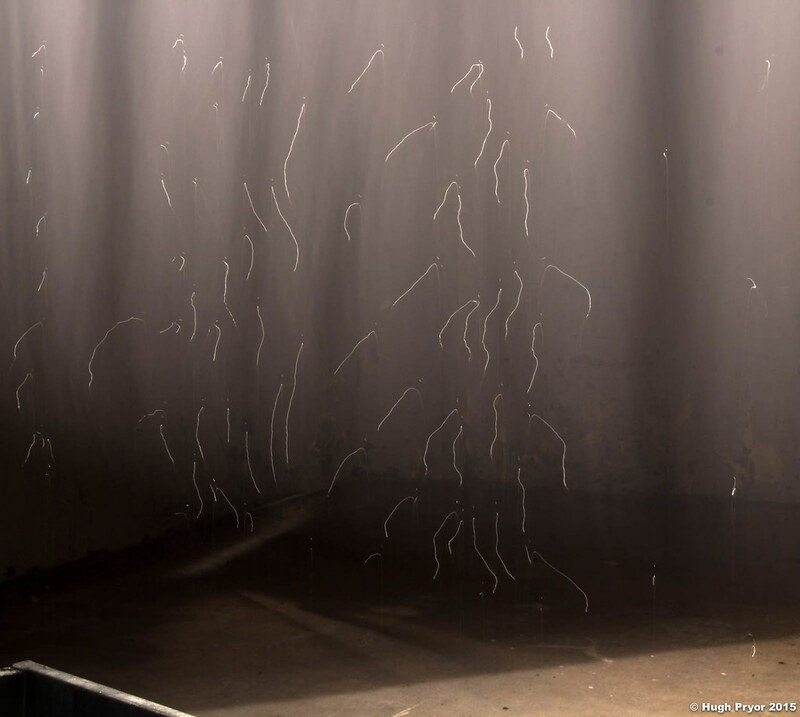 “Sheet Dip”, part of the Arkitektoniske Kramper exhibition at OVADA in November 2016 by brook and black, provided an ideal opportunity for me to photograph water that was moving in a very controlled way: two bed sheets were attached to a frame and repeatedly dipped in and out of a trough under the control of an industrial electric motor and controller with switches. 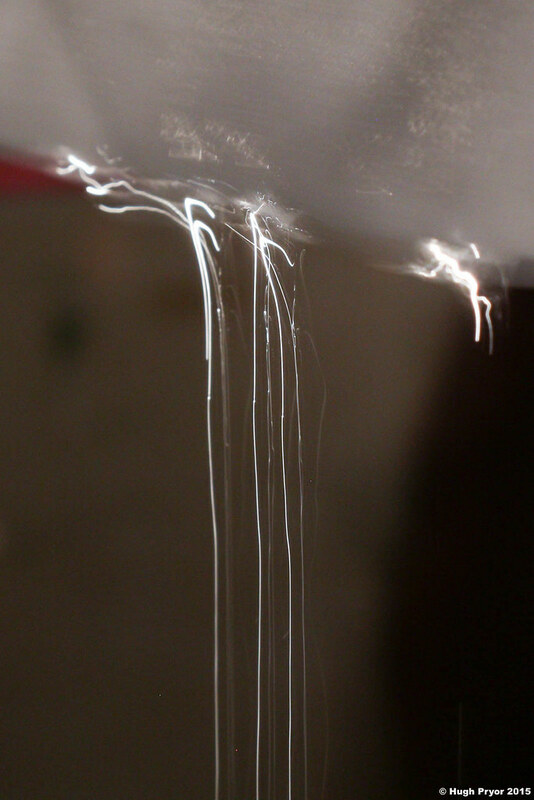 Looking close up we see water catching the light from behind turning each point of light into a converging streak. 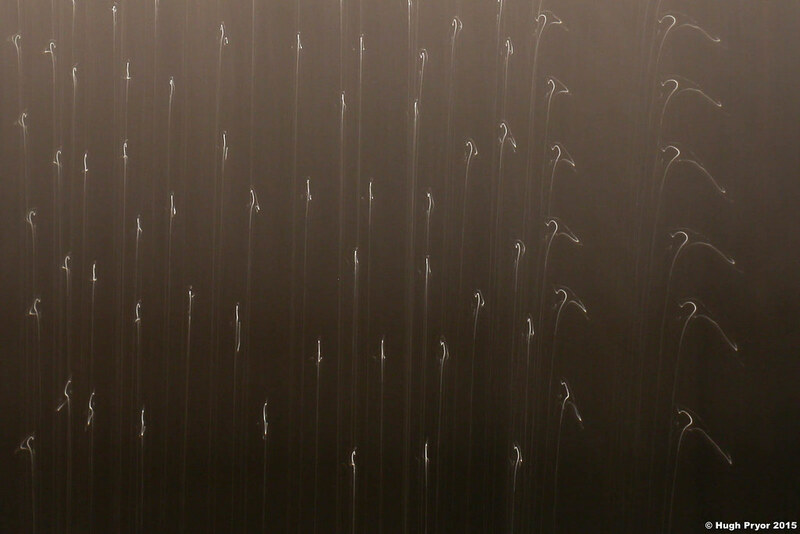 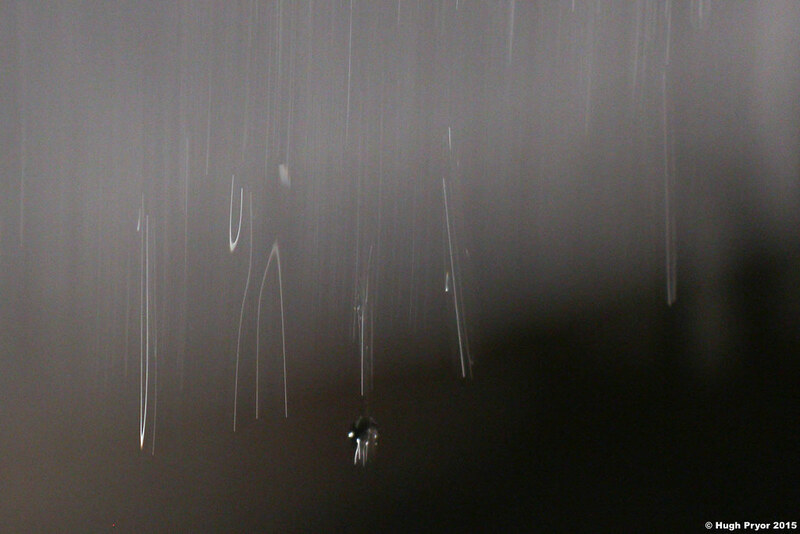 On a long exposure the streaks form a lattice of light as the sheet moves upwards with the drops converging, dripping and accelerating. 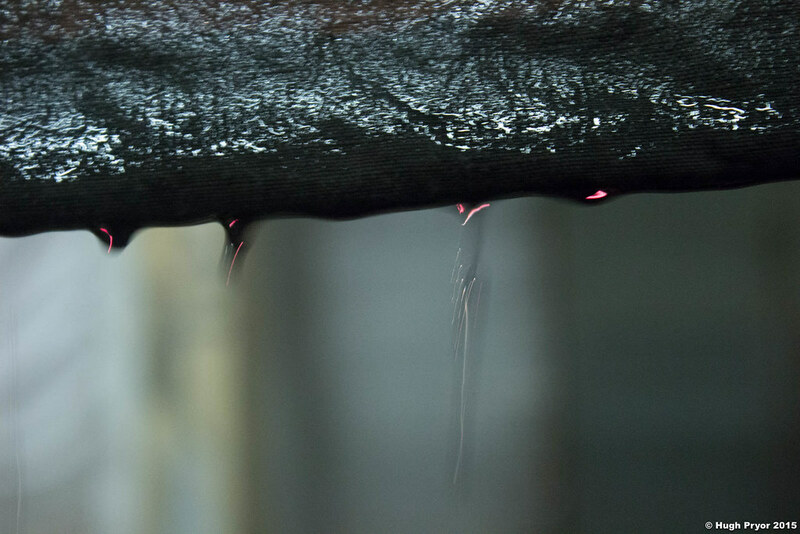 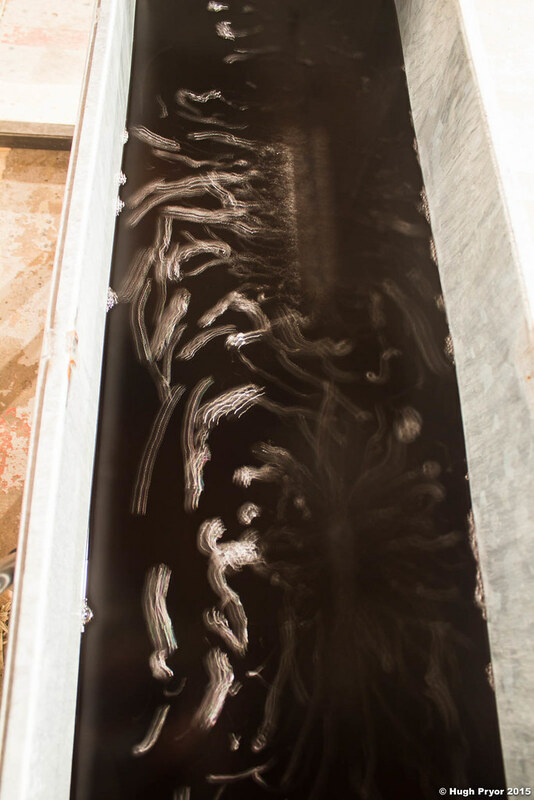 Black dye was added to the water which gave the drips a red colour and increased the contrast on the water surface – the diverging bubbles which formed spread from the source and formed spider-like structures.